Protesters crawled under a Border Patrol vehicle to stop agents from transporting a driver who was taken into custody for being in the U.S. without documentation, the Tuscon News Now reports. The incident happened at 2:45 p.m. when Tucson police pulled over a driver for making an improper turn. 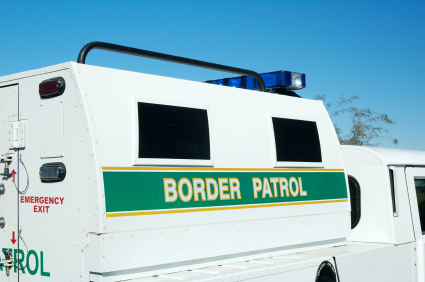 Saying the driver had no license to drive a car and was illegally in the U.S., police contacted Border Patrol, which sent an unmarked SUV to take the driver into custody. Protesters arrived soon after, with two of them crawling under the SUV. Posted: 8/11/14 at 8:59 AM under News Story.